There is a plethora of films about euthanasia and assisted suicide, but possibly none which takes place in a courtroom. However, a courtroom in the sweltering far north of Australia might provide an excellent script for an updated version of Inherit the Wind, pitting enlightened progressives against backwoods conservatives. 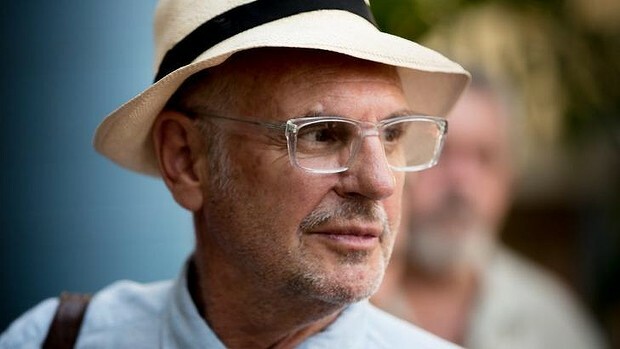 The progressive would be Philip Nitschke, one of the world’s best-known euthanasia activists. He has been battling to retain his medical registration before Northern Territory Civil and Administrative Tribunal. His lawyer, Henry Nugent, is terminally ill with colon cancer and ardently supports supported Nitschke’s cause. Representing the antediluvian Medical Board of Australia is barrister Lisa Chapman. The MBA regards Nitschke as a public danger. The trigger for the hearing was a police investigation of the death of 45-year-old Perth man Nigel Brayley. He was a fan of Nitschke’s work and committed suicide with Nembutal, Nitschke’s drug of choice. Unfortunately for Nitschke, it turned out that Brayley was being investigated for murdering one, possibly, two wives. He may have been depressed; he certainly evaded justice. If Nitschke’s cavalier response to Brayley’s request for information is not enough for the MBA to deregister him, there are 11 other complaints about how he practices as a doctor. Ms Chapman refused to broaden the scope of the hearing. “This is not a debate about voluntary euthanasia," she said. "It is not a debate about rational suicide. This is a very precisely focused interim hearing regarding Mr Nitschke's conduct into the death of a man. He obtained scant information about Mr Brayley before he died." The debate is also about the extent of a doctor’s professional commitment. Nitschke supports a transactional relationship in which he is a doctor only when a person approaches as a doctor. Ms Chapman supports a vocational understanding. "You can't say that today I'm going to be a registered medical practitioner but tomorrow I'm not going to be," she said. "It's not a matter of saying I'm going to decide when I wear that hat. The legislative scheme is that you wear that hat all the time." Nitschke, who spends most of his time nowadays in his work as the head of Exit International, an assisted suicide and euthanasia lobby group, sounds fatalistic about losing his credentials as a doctor. "I wish I had never met Nigel Brayley, frankly, given the amount of damage that brief encounter has done to me and the time and energy and money that it's consumed," he says.